Sarcastically “We would like to specifically mention the thousands of tuyo and tinapa vendors who have continued to subscribe to the paper to boost their retail business." 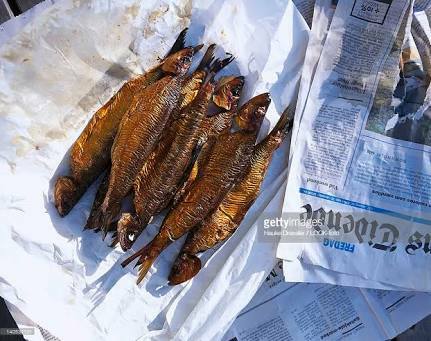 But many have failed to realize that newspapers and magazines are mostly dirty and a health hazard if used to pack food because of the ink used on them. "Printing ink contains harmful pigments, chemical binders, and various harmful additives which pose risks to human health if ingested. This is precisely why companies cannot use newsprint as packaging material. However, street vendors are not bound by the same rules, which is why newspaper is so commonly used to parcel food." "It also warned people that children, seniors, those with compromised organ function, and people with weakened immune systems were at the greatest risk of cancer-related health complications, if they are exposed to food packed in newspaper." “It has been observed that vendors have been using newspapers in packing and serving food, which is harmful. I urge the public to dissuade the vendors from doing so.” It is important that we sit up and take notice of this advice and we urge people to create awareness and to request different packaging material when purchasing food from roadside vendors. So if we are to heed the health warning, then newspapers are really soon to belong in a museum (or not .... as paper would also eventually decompose and turn into nothing but dust). Why are there still print media? Most of the surviving print media entities are just relying on funds provided by the owners and investors who have other businesses. Many are still using the "influence" posed by print media as there are still some who thinks there is still a considerable amount of readers. We have to admit that old and even new copies of print media are being given away for free at many events or occasions. The reality is that advertisers are now more inclined to go online since the numbers are bigger there as compared to print which is harder to measure. In fact, those who work for newspaper or magazine companies could not even give you a realistic figure. True enough, print is dead. They are now just there for show, and making efforts to deceive people that they are still significant source of information. Why keeps bringing down trees, or recycling paper, when majority of us are now connected online and getting our news directly from social media, with many possibilities of even immediate direct feedback and interaction. There have even been many cases when traditional media are getting many of their news, and potential special features, from social media. Should trad media continue to deny they have gone digital as well because they are now almost like dinosaurs?